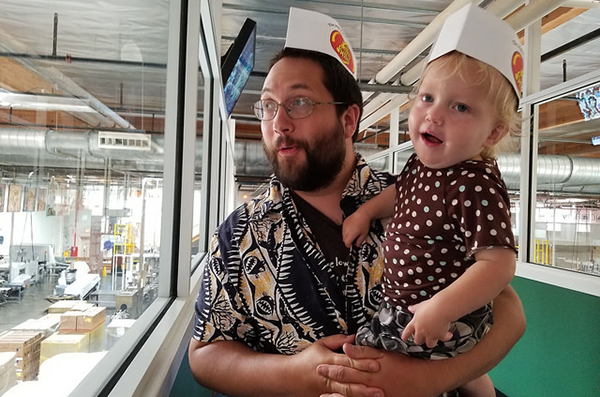 FAIRFIELD – If you’re looking for a sweet Valentine’s Day adventure, then a visit to the Jelly Belly Factory in Fairfield with your valentine(s) is in order. At the Factory, you’ll learn the history of the company and discover how they make their tiny treats. The Factory has updated its tours within the last few years, so even if you’ve been before there will be something new to see and learn. During the free self-guided Factory tour you and your group will walk along, stopping at various stations to watch high-definition 4K videos that explain the candy manufacturing process. You’ll find numerous interactive exhibits along the way, including fun games. The quarter-mile touring “lane” is an elevated walkway, so you look down through huge glass windows and see jelly beans in the various stages of production. While the tour is new and improved, some key elements have stayed the same. You still receive free samples to enjoy and an official Jelly Belly paper hat to wear while touring. 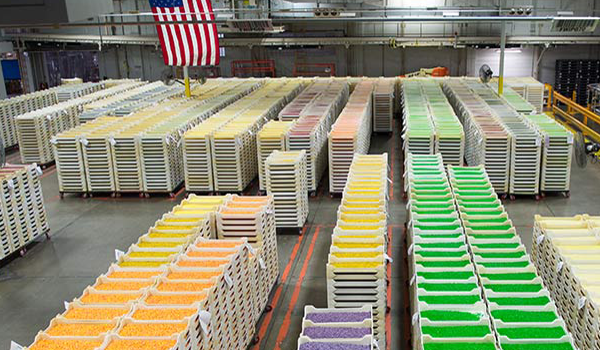 The mouthwatering smell of these brightly colored confections will tempt you as you make your way through the Factory. In the Jelly Bean Art Gallery, you’ll see numerous famous figures whose likenesses have been made out of jelly beans, from celebrities to cartoon characters. A prominent and somewhat unexpected figure featured during the tour is Ronald Reagan, who was an original Jelly Belly aficionado. He kept Jelly Bellies on his desk in Sacramento during his time as California’s governor, but the treats truly became famous when he took them with him to the Oval Office when he was elected President. 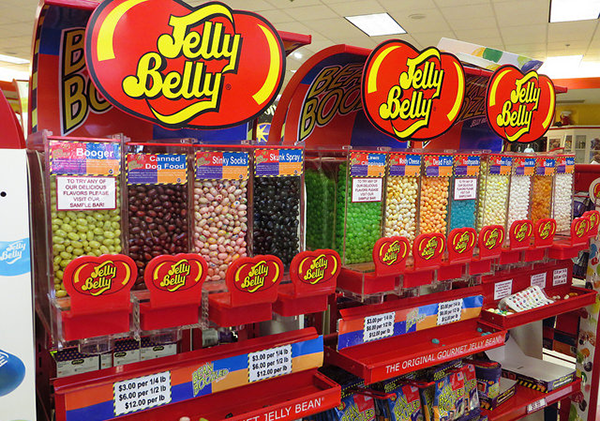 Your tour ends in the Jelly Belly Candy Store, where you can purchase a variety of fun wares, like a jelly bean dispenser, Jelly Belly scented items, and the ever-popular Belly Flops®. These are an assortment of jelly bean “seconds,” which come in irregular shapes and sizes and are sold at a discounted price. All visitors should stop at the renowned Sample Bar to taste the wide variety of jelly beans. This includes the BeanBoozled® beans, which range from tame flavors like toothpaste to the undeniably gross, like boogers or skunk spray. Anyone visiting the Jelly Belly Visitor Center is advised to come hungry. The Jelly Belly Café can be found on-site and features a breakfast and lunch menu, ice cream, gourmet coffee and a Chocolate Shoppe and Fudge Counter that also offers free samples. Savvy purchasers can buy out-of-season holiday candy and overstock items at a discounted price in the Caseload Sale Room. Sophisticated sweet tooths may be interested in upgrading to the expert-guided Factory tour ($39 for 1-6 people, advanced reservations required). 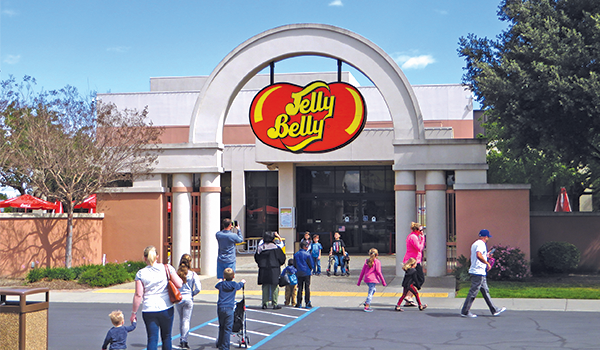 If you go: The Jelly Belly Factory and Visitor Center is located at 1 Jelly Belly Lane, Fairfield, California.The Jelly Belly Factory and Visitor Center is open daily from 9am-5pm. Factory tours are available daily from 9:15am-4pm. Candy manufacturing generally happens Monday – Friday, so be sure to go during the week to see the most action (see website for complete production schedule). All tours are wheelchair accessible. For more information, call 1-800-9-JELLYBEAN or visit JellyBelly.com. Your Town Daycations is a series featured in the print edition of Your Town Monthly. This article was originally published in the February 2019 editions.